Arugula is also known as Salad Rocket, which is a fitting name for this zippy leafy green. 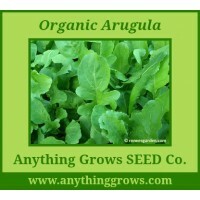 Arugula is a delicious early summer vegetable from the brassicaceae family. Like others in this vegetable family (such as kale, cabbage, cauliflower and mustard greens), Arugula has no shortage of healing qualities. With very few calories and tons of flavor it is a great green to help maintain a healthy weight without sacrificing great tasting foods! Arugula is a rich source of certain phytochemicals that have been shown to combat cancer-causing elements in the body. Arugula is also a great source of folic acid and Vitamins A, C and K. As one of the best vegetable sources of Vitamin K, arugula provides a boost for bone and brain health. The commercial standard with long, green leaves and characteristic mildly spicy flavor. Germinates quickly and tolerates cold and hot temperatures well. Our strain has a mix of “cut” and “strap” leaf shapes when grown as baby leaf. Performs well as a cut-and-come-again crop. Heat and cold-tolerant. (Eruca vesicaria var. sativa. ).Days to maturity: 21 days baby, 40 full size. Pretty edible blossoms attract pollinators. 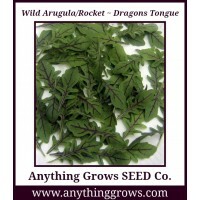 ..
Wild Arugula or Rocket is the beautiful variety Dragons Tongue from Suttons Seeds. They have attractive red-veined leaves that are stunning! A superb British-bred variety with good vigour and a wonderful peppery taste. Plants are bolt-resistant, so don’t run to seed, allowing you to keep picking the leaves over a long period. 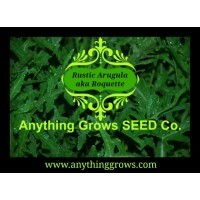 ‘Cut & come again’ leaves British bred with superb vigour Bolt resistant variety ..
Rustic Arugula is an Italian heirloom. 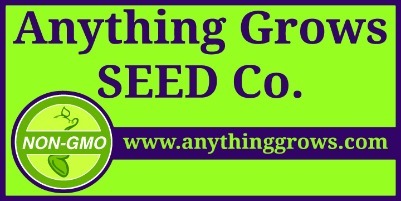 This is from Renee's Garden Seed Organic collection. (approx. 1600 seeds/pack). It forms rosettes of deeply indented leaves with a piquant, tangy flavor.Great in salads, pizza or pasta. Lasts longer than common arugula. Ours has been comming back for years! When it looks woody cut the entire plant down and it will send up new growth. Pretty edible yellow blossoms loved by pollinators. ..